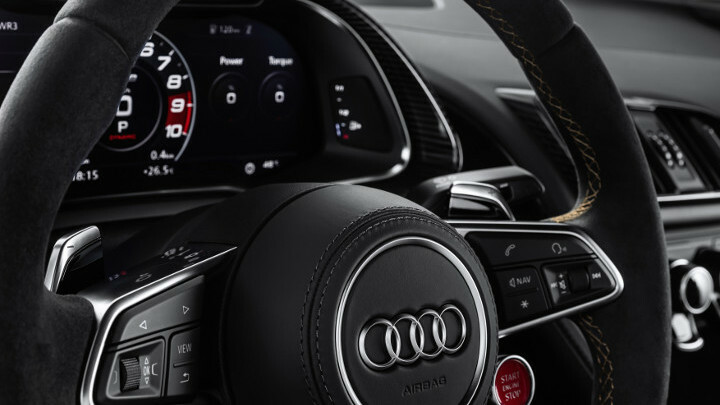 We’ve already established this in our review of the updated second-gen Audi R8: The best thing about this supercar is its naturally aspirated V10. 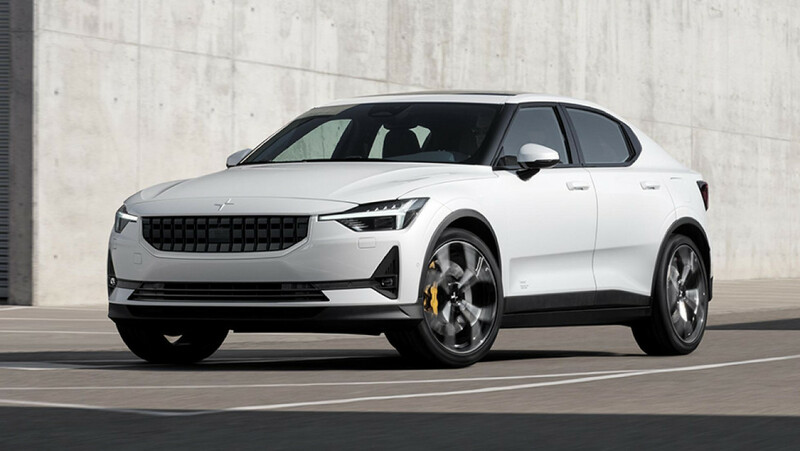 It’s now been a decade since the German carmaker first equipped the model with a 5.2-liter FSI unit, which, in 2009, made 525hp. 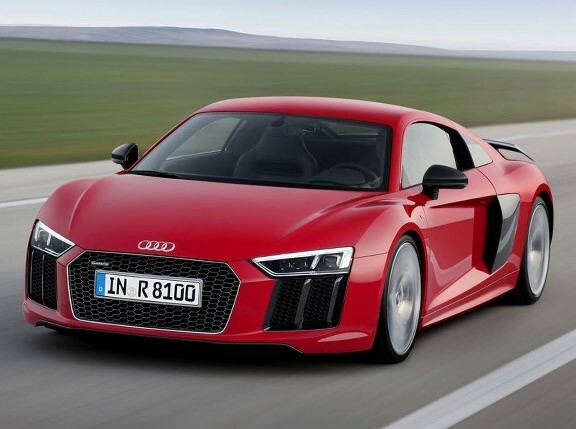 Come 2015, when an all-new R8 was launched, the engine was churning out 610hp in top-spec form. 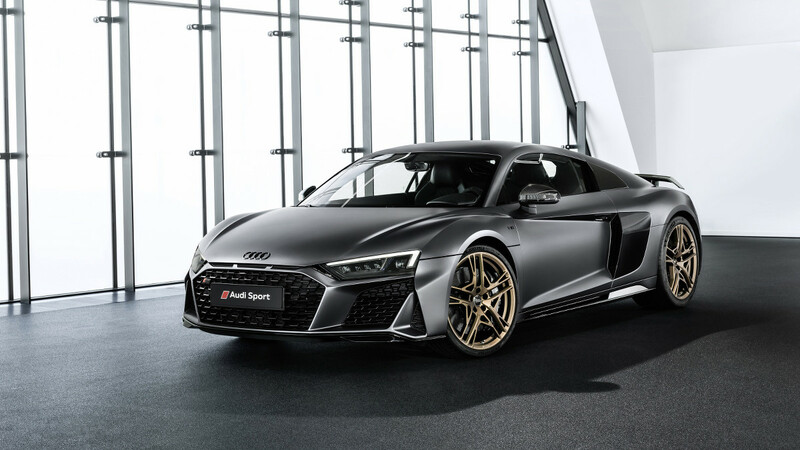 To celebrate 10 years of the R8 V10, Audi has now created a special model: the R8 V10 Decennium. 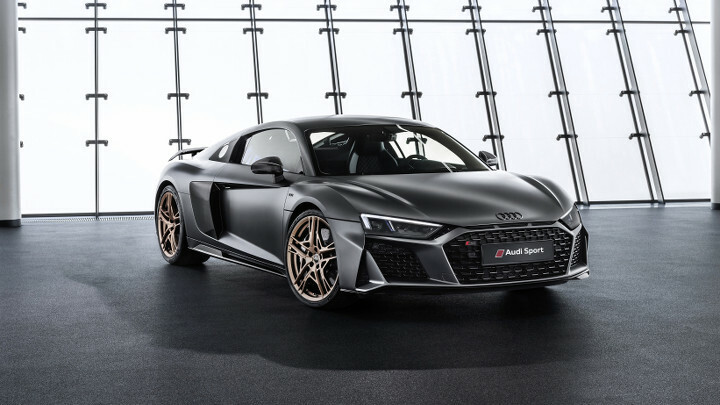 The debut of this limited-edition car—only 222 units are being made, all in coupe style, going for €222,000 (P13.1 million) a pop—coincides with the sales launch of the facelifted R8. 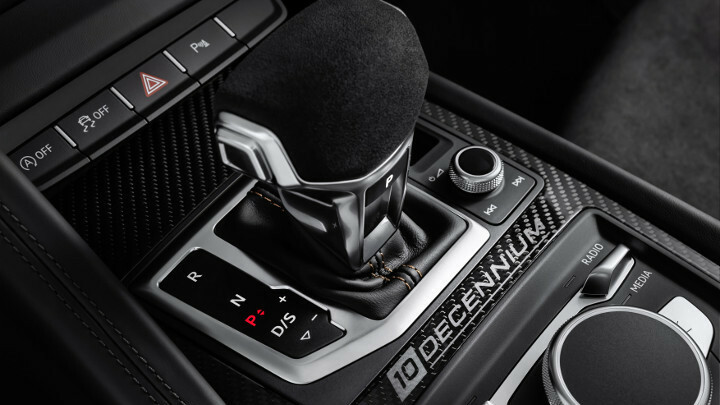 As befits a model that pays tribute to V10 power, the Decennium generates 620hp, which is the 5.2-liter unit’s highest output rating to date, and 580Nm of torque. Nil to 100kph comes in 3.1sec, and speed tops out at 331kph. 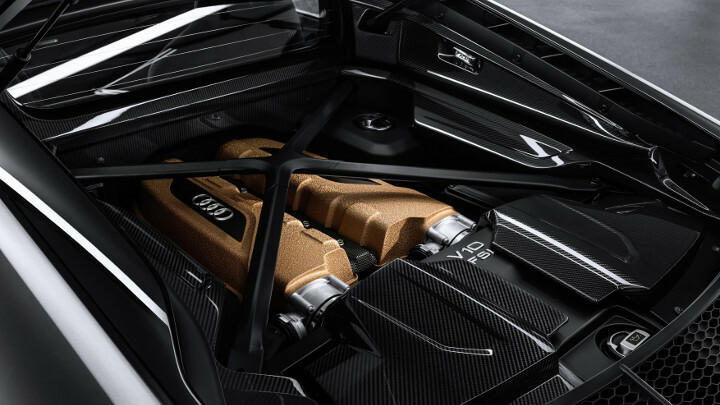 And this is definitely an engine that can sustain high-speed running for extended periods: Among its achievements powering the R8 LMS GT3 race car are seven 12-hour race wins and eleven 24-hour race victories. The matte Daytona Gray paint job shown here is exclusive to the Decennium, but various other colors in metallic finishes are also available. That said, we have to say the matte-gray shade looks perfect with the matte-bronze finish of the 20-inch wheels and the V10’s intake manifold. The exterior also gets a gloss-black front spoiler, side sills, and diffuser, carbon-fiber mirror covers, and black badges. 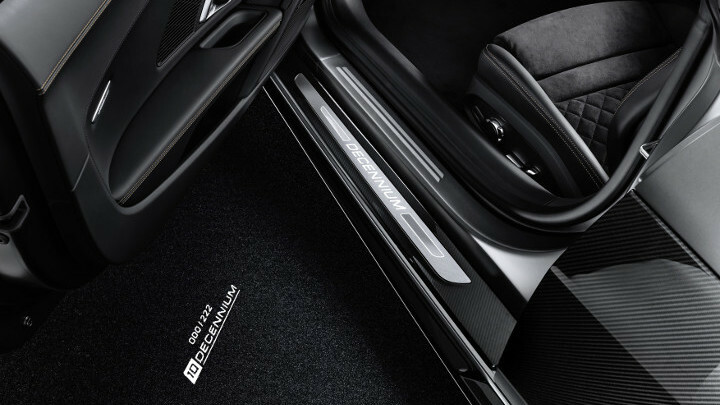 Meanwhile, the black interior features carbon-fiber accents on the center console, copper-colored stitching on the seats and the tiller, and a Decennium badge with a partially matte finish. 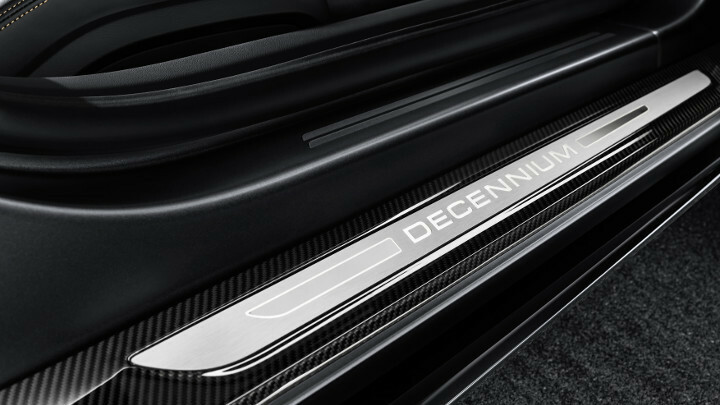 The word ‘Decennium’ is also projected onto the ground, along with each unit’s sequential number, whenever you open the door. You know, just to let everyone know this is limited-edition. 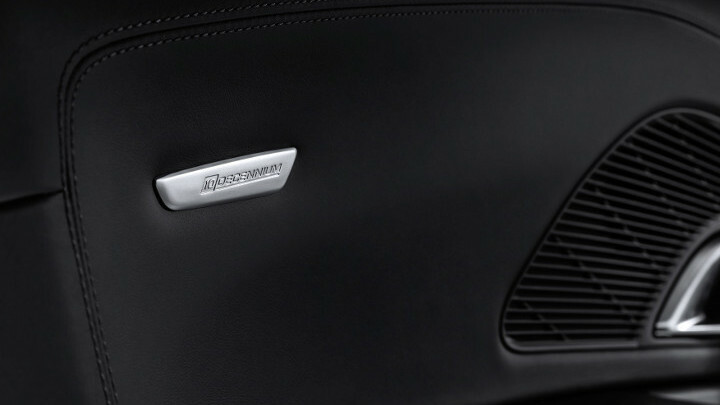 Perhaps also to justify the €22,000 premium over the R8 Performance coupe. And to remind us of the good old rip-roaring days, when big V10s are no more.